← I Submit! I Submit! The ACX/Audible Studios Open Casting: Here Are Your Actors! We asked for auditions, and boy, did you listen! And then, we listened! After reviewing each of the over 800 auditions submitted, we have selected the actors cast for the two Audible Studios titles in this call. We are pleased to announce Paul Heitsch as the narrator of The Game Player by Rafael Yglesias and Amy Landon as the narrator of Hidden Steel by Doranna Durgin. Paul Hietsch has spent time working for Rosetta Stone, managing their audio department. While at Rosetta Stone, he hired, trained, and directed the team that produced all the audio content for the launch of their 2007 edition. After directing and engineering hundreds of VO recording sessions, Paul decided to see what life is like on the other side of the glass, and began narrating audiobooks in May of 2011. Paul’s voice and tone struck just the right balance between humor and wistfulness. His characters were sharply drawn without being overdone and displayed great subtlety and nuance. His read was very engaging and made me want to keep listening. 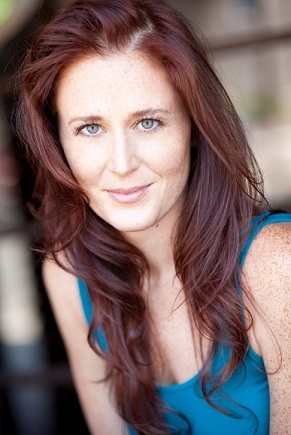 Moving now to our female lead, Amy Landon is a classically trained, bi-coastal actress who works in film, TV and off-Broadway. She is a seasoned narrator of audiobooks, with works in romance, fiction and non fiction including Lauren Dane’s Brown Family series, Call Me Zelda and Dancing on Broken Glass. Amy’s read of the audition piece showed a deep understanding of the protagonist’s situation and attitude. She has a great delineation between the character’s internal monologue and the book’s narration, and a good sense of pacing. Amy’s voices for male characters were skillfully crafted and her narration draws the listener into the scene immediately, creating what’s sure to be an intense and intriguing listen all the way through. Congratulations to Ms. Landon! And a special thank you to everyone who submitted an audition. We hope to hear a lot of your voice around ACX and Audible Studios! Congratulations to Amy and Paul, can’t wait to hear your work on these two great reads, Bravo!